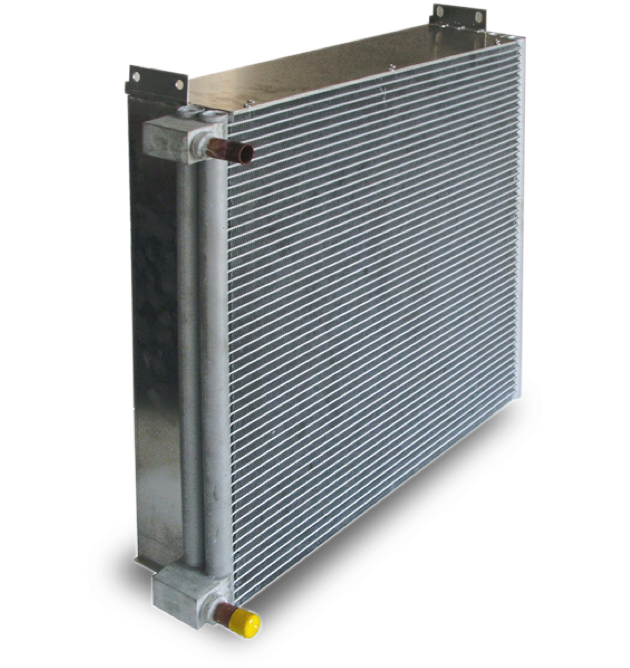 Parallel-flow condensers have totally replaced the mechanical condensers (Cu/Al) in the automotive industry.The same is happening in all the cooling-related industries (commercial and industrial air conditioning, commercial and industrial refrigeration, etc…). 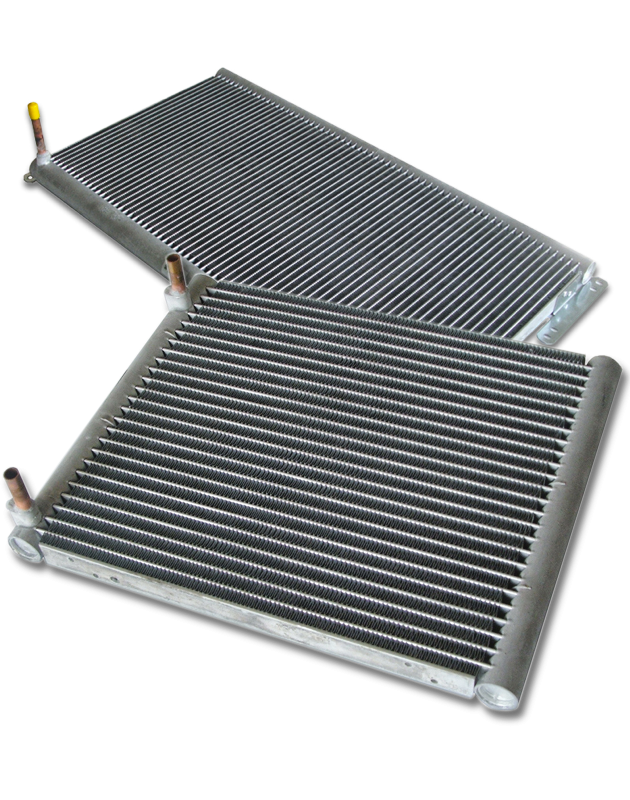 The acceptance of the market for this new kind of condensers is growing every year as their applications are multiplying. 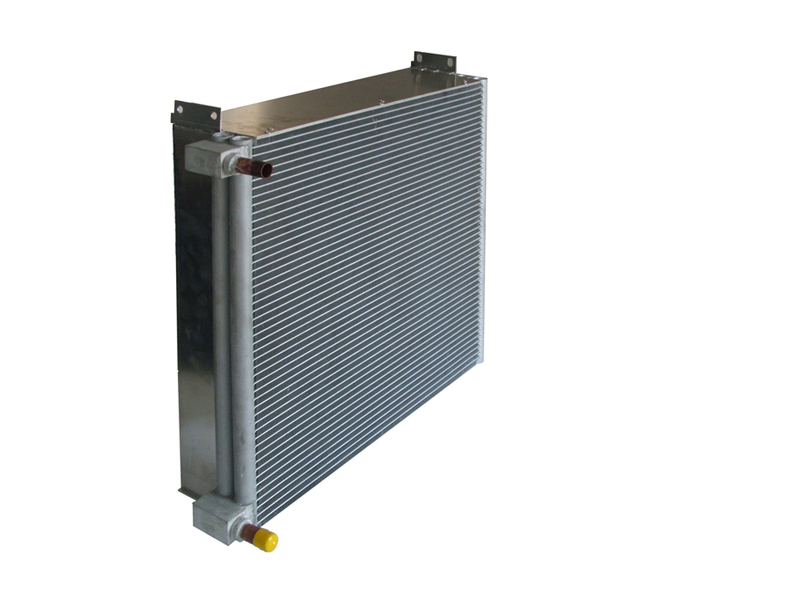 Parallel-flow condensers are completely made in aluminium and brazed in the Valmex plant with a braze welding process in a Nocolok furnace. 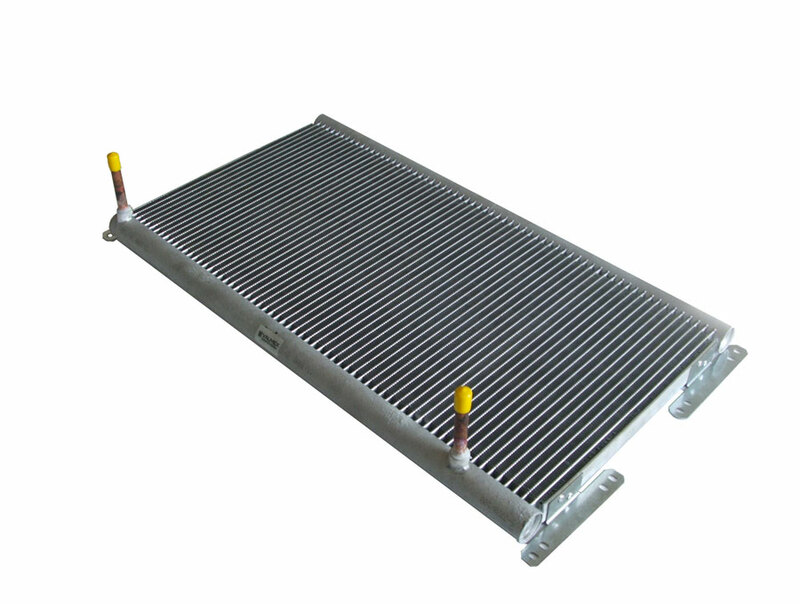 All the components of the condenser are braze-welded to give solidity and perfect conductivity. 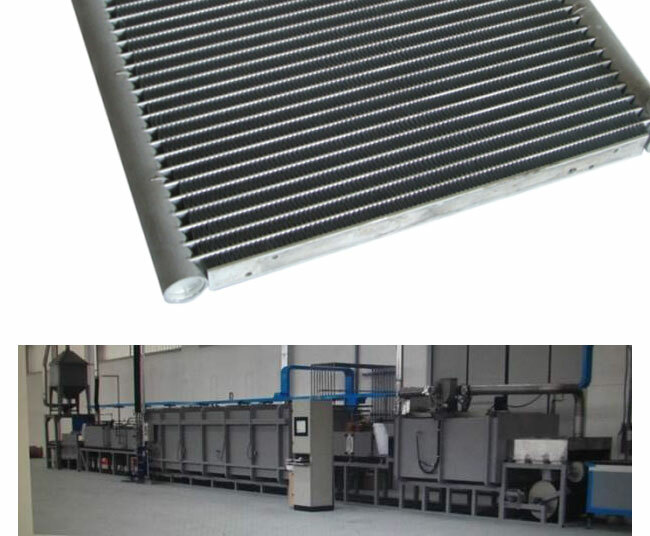 It is possible to produce the parallel-flow condensers with one level (21 mm or 25 mm thickness) or two levels (50 mm thickness). 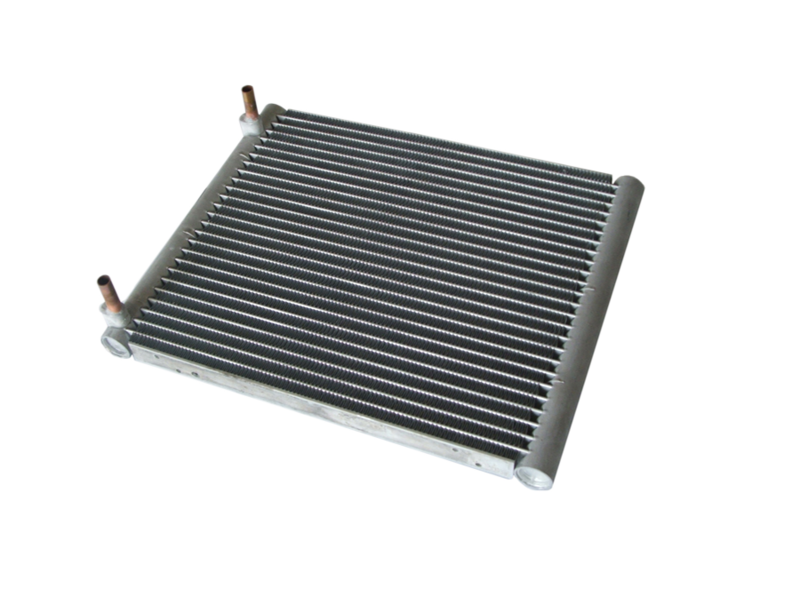 More elements are: frontal dimensions, pace and type of fins, circuits, connections, supports. average cost reduction of aluminium compared to copper: 25%.